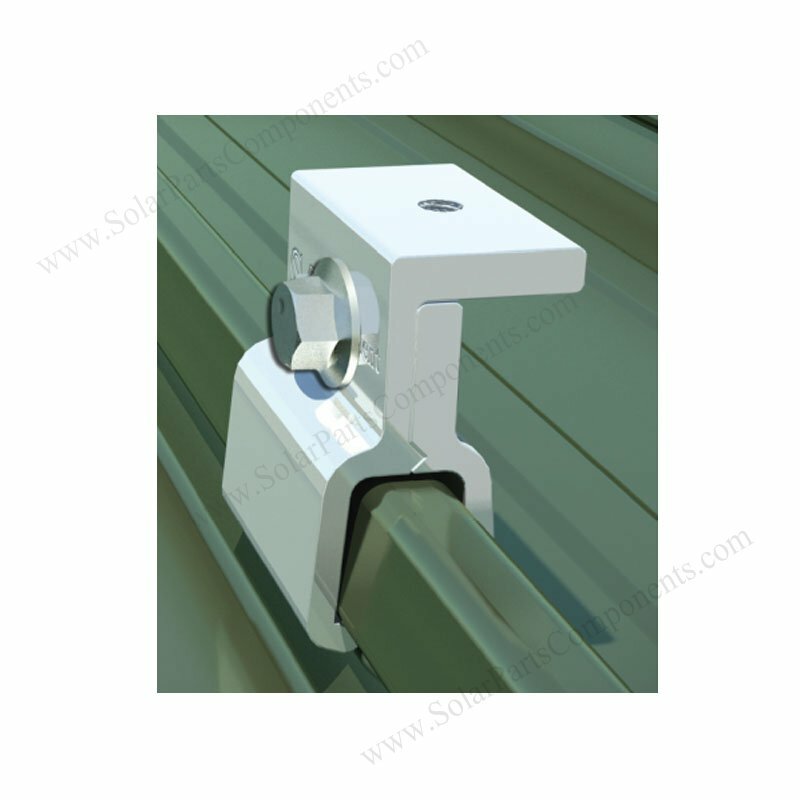 By using our ready-made solar standing seam clamps model : SPC-001, it is a good complete solution for metal roofing. Without penetrating metal roofing, our seam clamps model spc-001 can be quickly mounted with less other components . 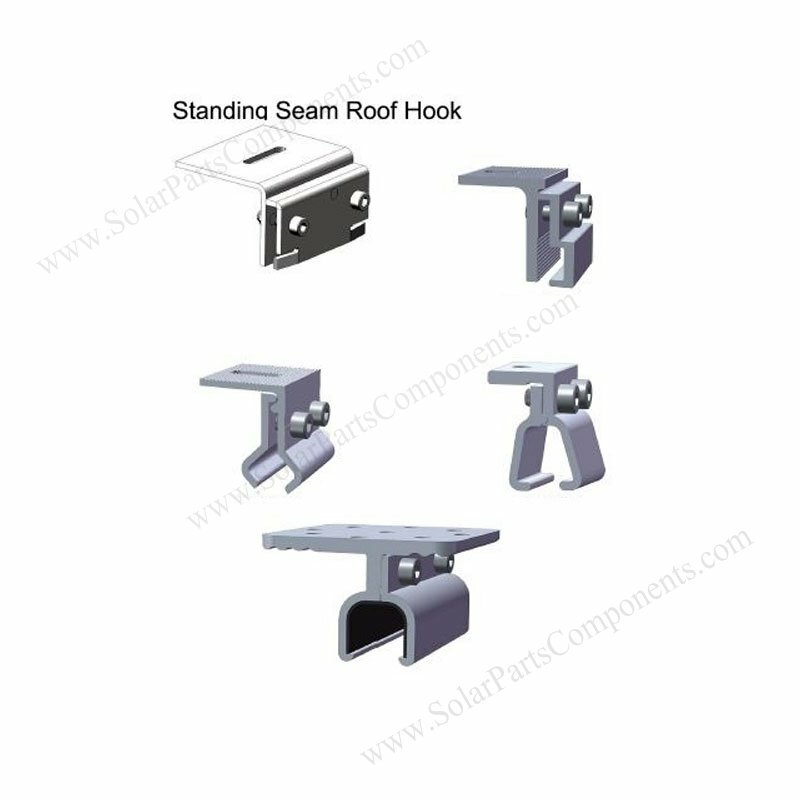 This solar mounting kits for standing seam metal roofing includes: alum rails, jumper strip for bonding rails, standing seam brackets SPC-001, L feet , clamps, hex nuts and screws . 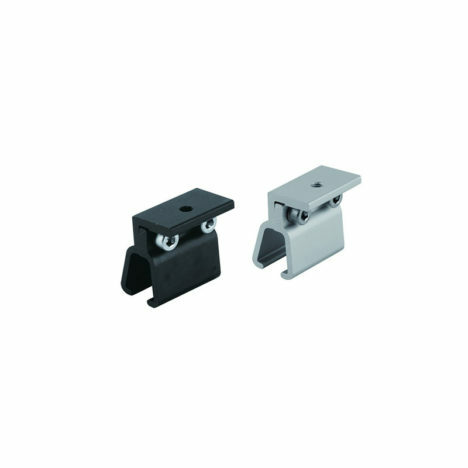 Our standing seam metal roofing clamps -SPC-001 is innovative , no needed drilling, strengthful in structure . 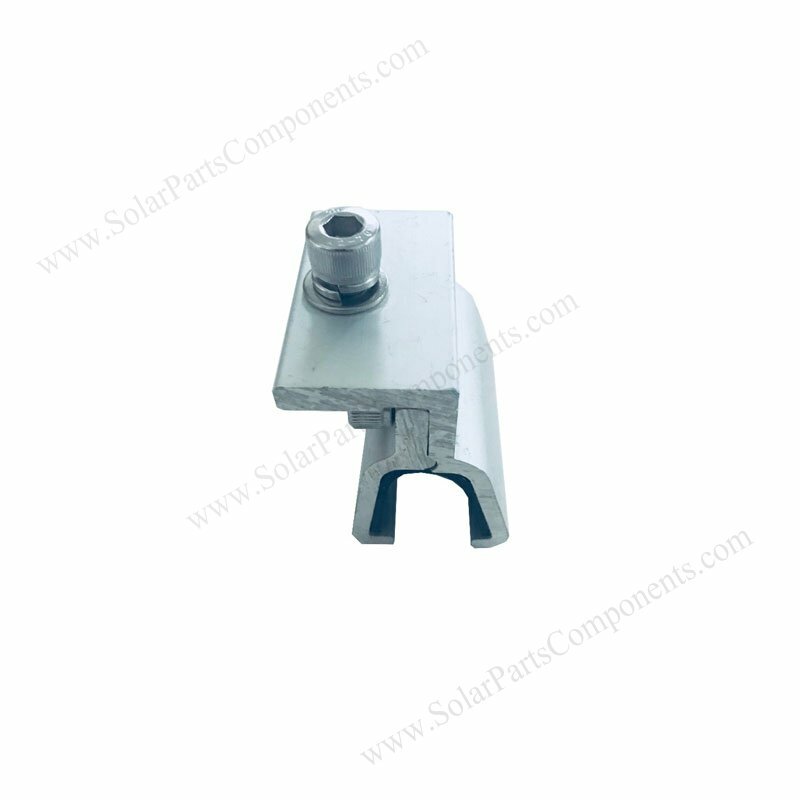 Our default finishing for this solar panel standing seam metal clamp SPC-001 is milling silvery . Black color is also available if requiried for specified solar project . 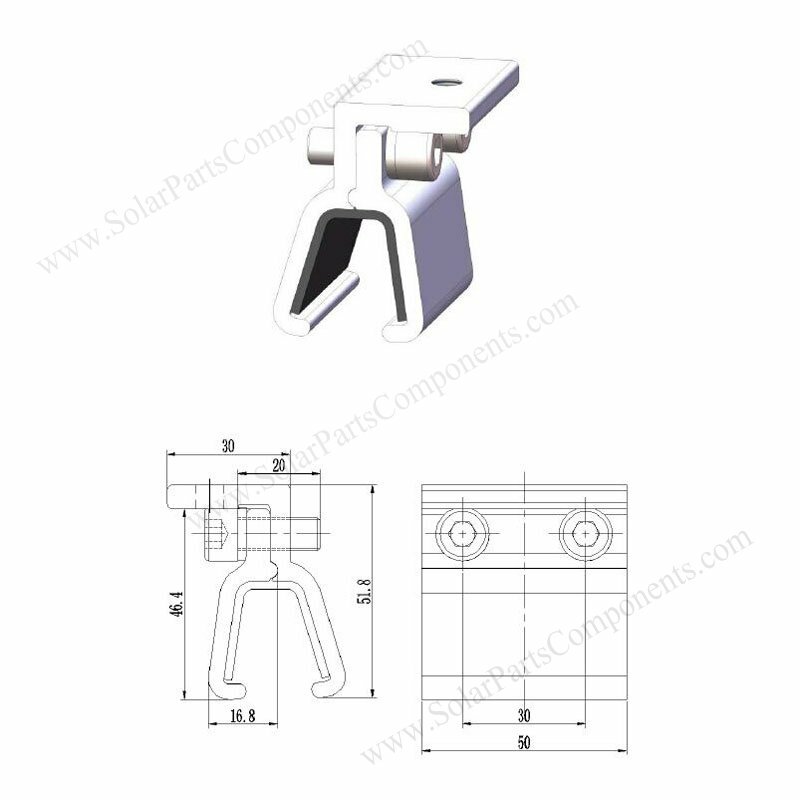 This standing seam metal roof clamp for solar panel mounting system features simple installing and cost-effective . 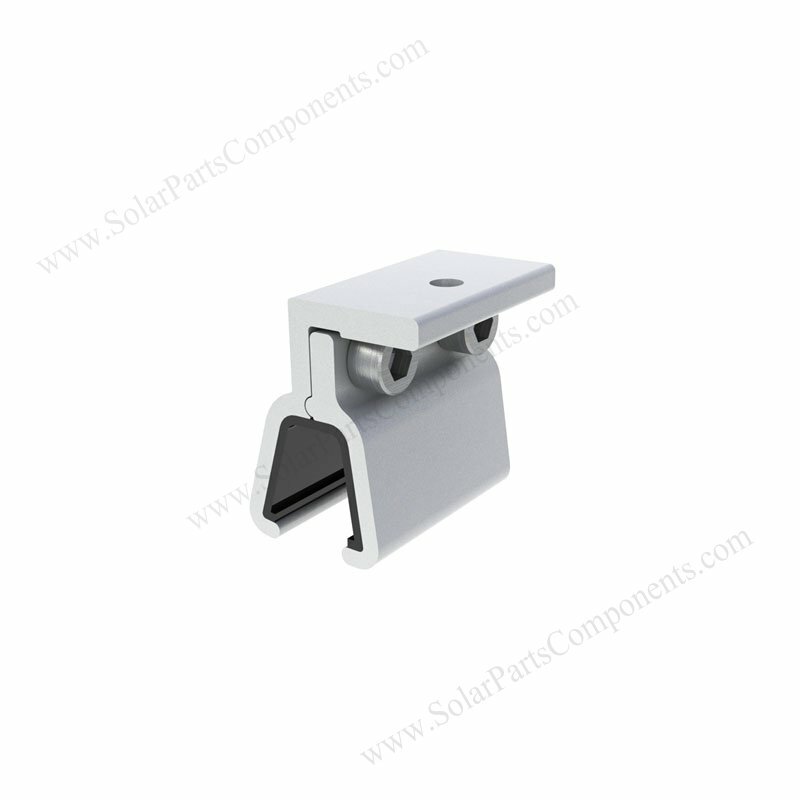 (2) This standing seam bracket is competitive in cost and you don’t need ballast base for installing . (4) Mill or black finish, customized color available for matching metal roof system . (b) two sets of SUS 304 Hex bolts, nuts and washer . This solar panel standing seam clamps model SPC-001 connect metal roofing and aluminum rails directly without drilling, save installation cost . 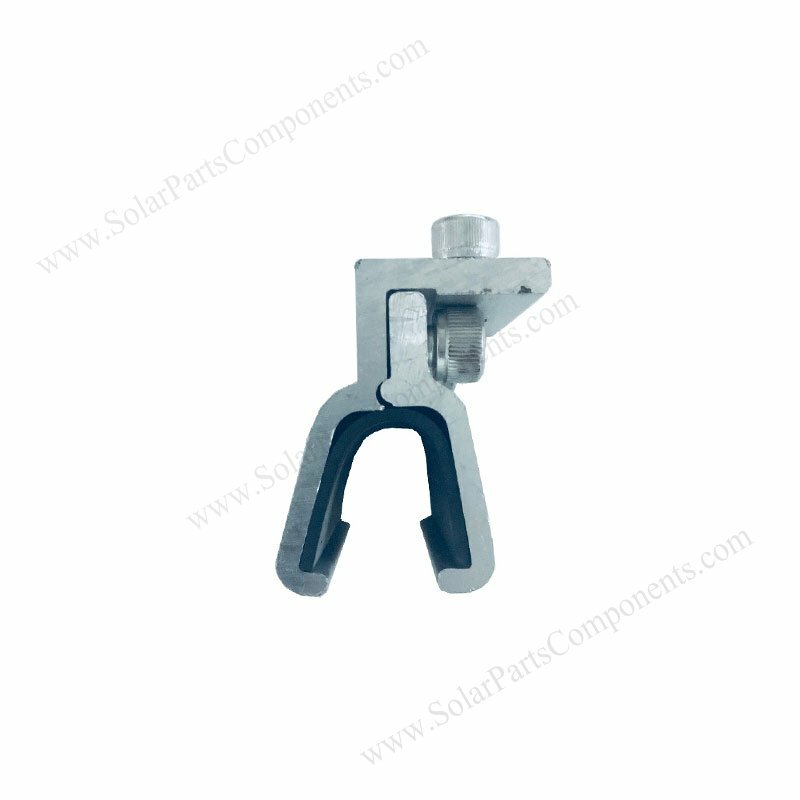 Our solar clamps are Aluminum 6005-T5 low profile in material and SUS304 bolts and caps . 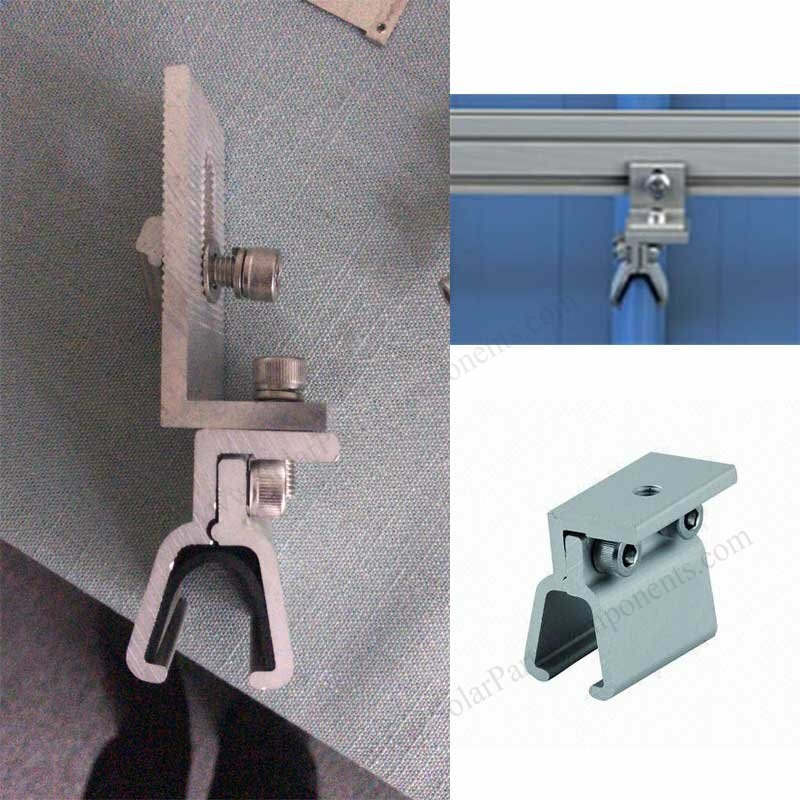 Welcome to send metal sheet details, I will recommend correct clamp for you !